Plot Summary: “The LEGO® Movie,” the first-ever, full-length theatrical LEGO® adventure, directed by Phil Lord & Christopher Miller, opens in theaters February 7, 2014. It stars the vocal talents of Chris Pratt, Will Ferrell, Elizabeth Banks, Will Arnett, Nick Offerman and Alison Brie, with Liam Neeson and Morgan Freeman. 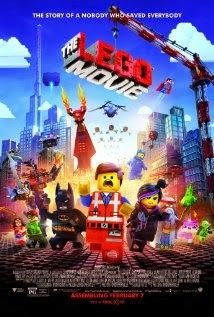 Directors Phil Lord & Christopher Miller (“21 Jump Street,” “Cloudy with a Chance of Meatballs”) also wrote the screenplay, from a story by Dan Hageman & Kevin Hageman and Phil Lord & Christopher Miller, based on LEGO construction toys. It will incorporate some of the LEGO world’s most popular figures while introducing several new characters, inviting fans who have enjoyed the brand’s innovative toys and hugely popular video games for generations to experience their visually unique LEGO world as never seen before.